My favorite professional teams are the Texas Rangers, Dallas Mavericks and Dallas Stars. 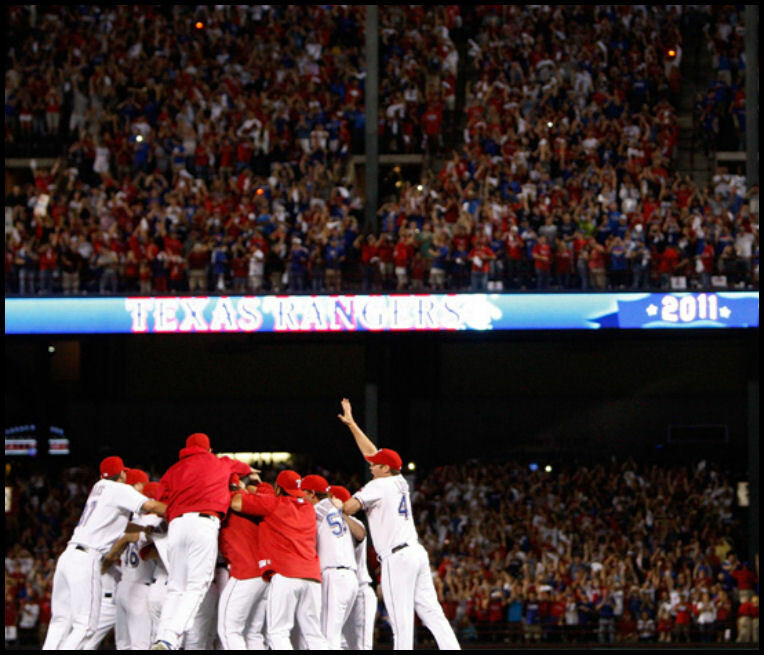 I’ve been a Texas Rangers fan for as long as I can remember. Growing up in Tarrant county they were the team to watch. Also, my Granddaddy liked the Rangers. Guess I discovered the Mavericks in middles school. Guess I became a because of location. They also had several of my my favorite players for a while. At the time, the Minnesota North Star’s decision to relocate to North Texas seemed like a strange move at the time. Like many in Texas I was introduced to hockey through the Stars. I also follow several college teams as well. Of course, I like my alma mater, Hardin-Simmons. HSU has done pretty well since dropping down to D3 in the 1990’s. The Big Guy is both an Aggie (Texas A&M) and Gator (University of Florida) so I’ve been assimilated. It should be interesting this year with A&M moving into the SEC. Finally, growing up in Ft Worth, Texas I’ve always liked the TCU Horned Frogs. Spent my preschool years tagging along with my mom. She was a graduate student.